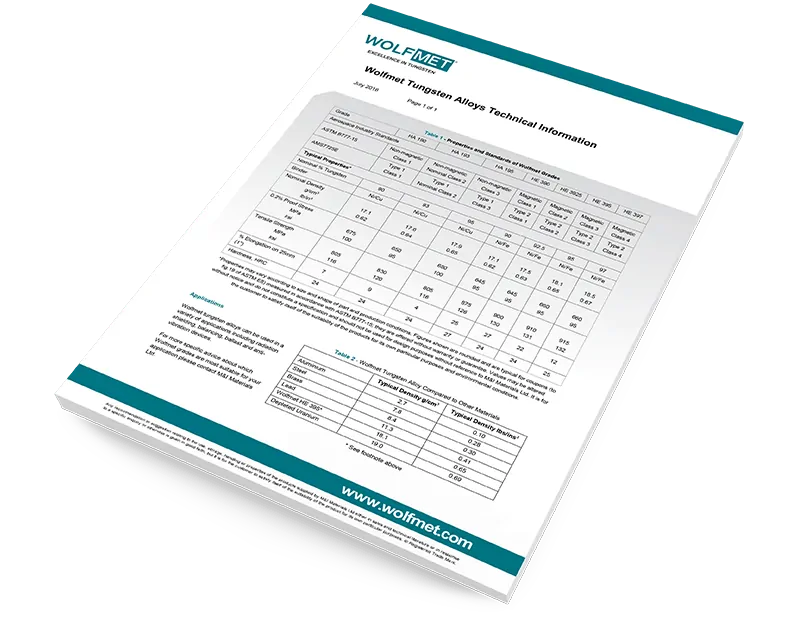 Wolfmet tungsten alloy can save time and money in hot metal working thanks to its high tungsten content which offers good resistance to thermal cracking, erosion, soldering, and the effects of heat cycling in hot metal working processes. The superior attenuation properties of Wolfmet tungsten alloy mean it is also very effective at reducing the impact of high levels of force and so is a prime material choice for bucking bars or riveting dollies. Wolfmet tungsten alloys can be used in a variety of applications including radiation shielding, balancing, ballast and anti-vibration devices.